We have given here solution for KitchenAid Refrigerator Beeping and Displays Error Code PO. The Display Panel of KitchenAid Refrigerator shows Error Code PO. When you press the CONFIRM button which is on display panel, The beeping of refrigerator stops and Error Code PO is reset and all looks fine. But after few minutes the KitchenAid Refrigerator Beeping again starts. Also you notice that the lights on deli drawer are off and are not working. This issue happens in many models of KitchenAid French Door Refrigerator such as KRMF706EBS or KFIV29PCMS. You are confused why this is happening and what can cause this and how to fix it. Now no worries as we have given the causes and troubleshooting steps below. Before you start any troubleshooting ore replacing the parts of the Fridge, Please try to RESET the Error by switching off the KitchenAid Refrigerator for nearly 10 minutes. It sometimes reset the control board and resolve the problem. If it didn’t resolve issue then please check below instructions. The KitchenAid Refrigerator beeping and displaying Error Code PO can be fixed by doing the testing and troubleshooting as given here. First before starting make sure that that power is disconnected to avoid any electric shock and to protect the control board from any damages when doing troubleshooting. They are the 2 main parts which causes the Error PO, So we suggest you to first test them and if found faulty then replace them. Please Note that It is also possible that Pantry drawer is open in KitchenAid Refrigerator. Please try to shut down the Pantry Drawer. If Pantry Drawer is closed but still no LED light is illuminating then it might be due to the UI, Then you have to replace the Control Board for that part number. 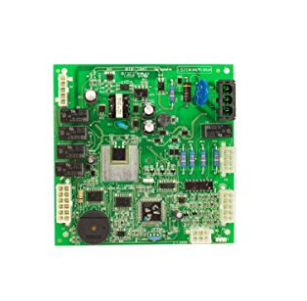 You have replaced the Control Board, But still facing the issue of KitchenAid Refrigerator Beeping and Displays Error Code PO, then replacing the Power Supply Board may solve the issue. When you press the CONFIRM button you notice that it works for 10 minutes or so and then you hear a clicking sound, after which the KitchenAid Refrigerator may switch off and then switch ON again. This cycle will repeat again and again non stop. By Replacing the Control Board or Power Supply Board can Fix this Problem. Please buy the Control Board or Power Supply Board for the specific KichenAid Refrigerator Model for correct replacement. Please do comment for any issues of Refrigerator or for giving any suggestion.